The Attorney General (AG) is the first Law Officer of the Government of India and acts as the top advocate for the Union Government. When such an Officer criticises Governments in power, it points to an extraordinary situation. When the Attorney General happens to be K.K. 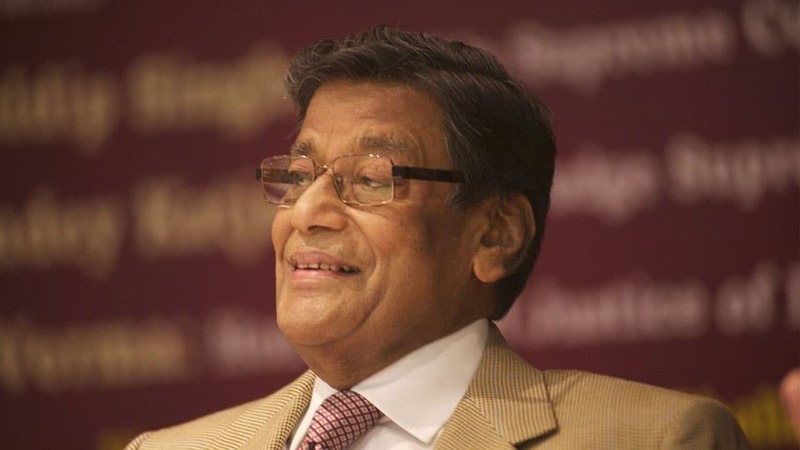 Venugopal and the governments happen to be run by the BJP, it is as good as a crisis situation because Venugopal has often been on the BJP’s side, from the Babri Masjid case to B.S. Yeddyurappa’s farcical bid to form a Government in Karnataka earlier this year. Venugopal’s judicial sensibilities must have been rattled for him to use the strong words he did in the Supreme Court recently. “There is an incident of major rioting every week even by educated groups,” he said. He criticised the BJP Governments in Maharashtra and Rajasthan for not taking measures against perpetrators of violence. He criticised the Delhi Police for not acting against the frenzied “Kanwariyas” who are supposed to be devotees on pilgrimage but who take easily to assault as they proceed. He pointed to those who threatened to cut off Deepika Padukone’s nose for her portrayal of Padmavati. “No civilised country will tolerate this kind of behaviour, but what has been done to the person who made that threat?” the eminent lawyer asked. That was a lawyer putting too much faith in law. In today’s India, things do not happen like that. Which SP will dare ignore the wishes of his political overlords? This does not depend on which party is in power. The BJP may be doing things a bit more brazenly, but all parties have contributed to the situation where the civil service and the Police act as supporting agents of those in power. Almost every day incidents occur to drive this point home. In a UP town, the other day a truck collided with a vehicle carrying Kanwariyas. The angry pilgrims set the truck on fire, blocked the highway, and beat up the driver. The Police arrested the driver. Elsewhere in UP videos showed young devotees hitting a car on the highway with long lathis, hitting it again and again from different angles. Policemen calmly stood around trying to keep spectators out of harm’s way. This is where the jurisdiction of law ends and the overweening power of hatred takes over. Those who have a Constitutional duty to check threats and violence prefer to look the other way. The Union Home Minister has taken the position that hate crimes are a State subject and the Centre cannot interfere. The Speaker of the Lok Sabha used the same rhetoric to disallow a private members’ Bill against lynching. This is a cop out that will convince nobody. The bulk of lynchings have occurred in BJP-ruled States. It is also a fact that lynchings have ruined India’s image in the world. Certainly the Union Government has a responsibility to be concerned about the country’s image? So it should be easy for karyavahaks in the Centre to sit down with karyavahaks in the States and save the country’s reputation from anti-nationalists’ propaganda. Why don’t they do it? The answer is floating quite visibly in the wind. K.T.S. Tulsi, legal luminary and co-sponsor of the private member’s bill on lynching, hit the right note when he said a special law was needed to deal with lynching because “lynching is a crime without motive. The victims are unknown. The objective of the crimes is to strike terror in society.” Obviously there are some who want to strike terror in society. Just as obviously there are some others who want to let them do so. AG K.K. Venugopal would know that the solution he suggests may at best cut off the branches. Who will cut off the roots? Obviously there are some who want to strike terror in society. Just as obviously there are some others who want to let them do so. Hence, the two-third rise in mob killings since the Dadri horror of September 2015. K.K. Venugopal would know that the solution he suggests may at best cut off the branches. Who will cut off the roots?